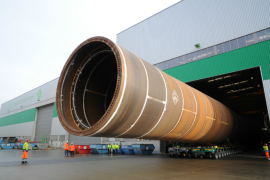 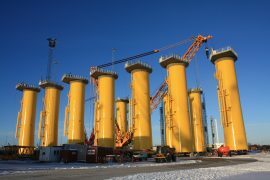 Vattenfall has contracted Bladt Industries to deliver 72 transition pieces for the Danish Kriegers Flak offshore wind farm. 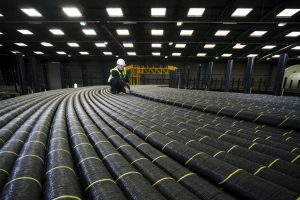 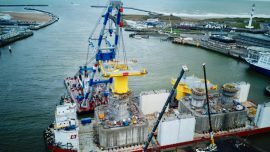 Vattenfall has contracted Van Oord for the transport and installation of the foundations for the Kriegers Flak offshore wind farm. 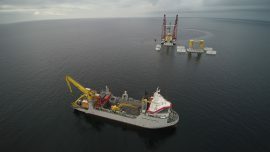 Jack Up Barge (JUB) has completed a support and supply contract for the hook-up and commissioning of two offshore platforms at the Kriegers Flak offshore wind farm in the Danish Baltic Sea. 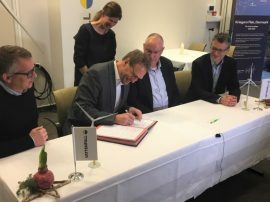 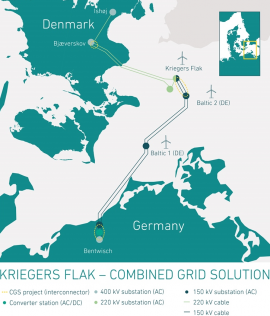 The commissioning of the Kriegers Flak Combined Grid Solution (CGS) between Germany and Denmark has been delayed until May 2019. 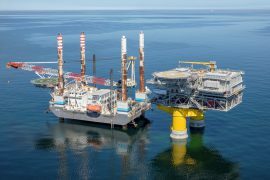 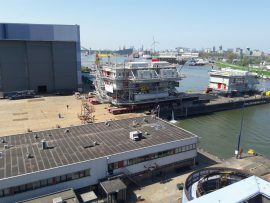 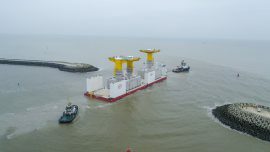 Heavy lift vessel Rambiz has installed the Kriegers Flak substation topsides in the Danish Baltic Sea, Energinet reports. 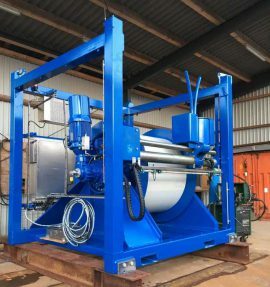 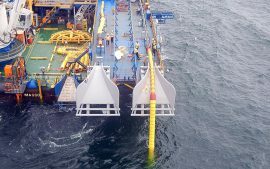 Greek Assodivers Underwater Contractors have taken delivery of two MERMAC winches from MacArtney to be used on the Kriegers Flak offshore wind project in the Danish Baltic Sea. 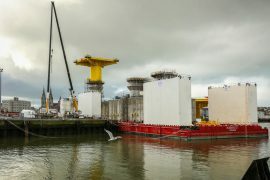 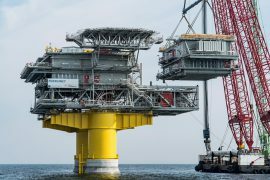 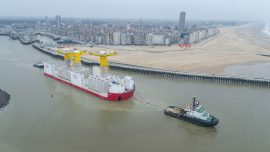 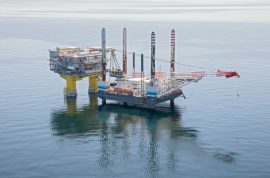 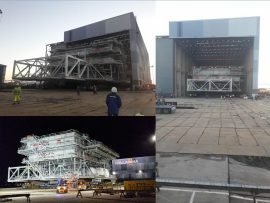 The foundation for the second Kriegers Flak offshore substation was installed on 22 February, a few days after Jan de Nul installed the first one. 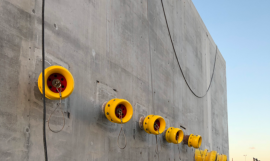 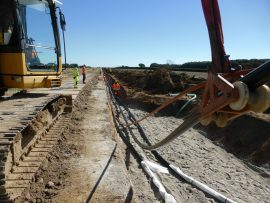 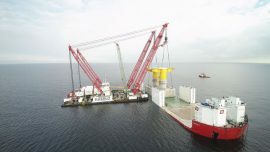 Jan De Nul has installed the first of the two gravity-based foundations that will support the offshore substations on the 605MW Kriegers Flak offshore wind farm in the Danish Baltic Sea. 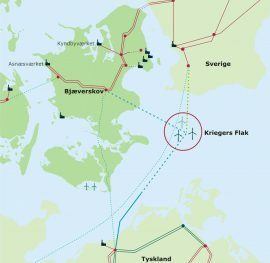 Vattenfall has chosen Klintholm Harbour in Denmark as its base for the servicing and maintenance of the 605MW Kriegers Flak offshore wind farm. 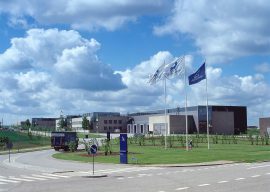 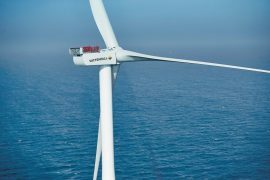 Vattenfall is reconsidering building a 420MW offshore wind farm in the Swedish part of Kriegers Flak in the Baltic Sea as a result of recent cost reductions in offshore wind, the company told Offshore WIND.